What are the politics of cellphone wallpaper? This is the image currently greeting me. 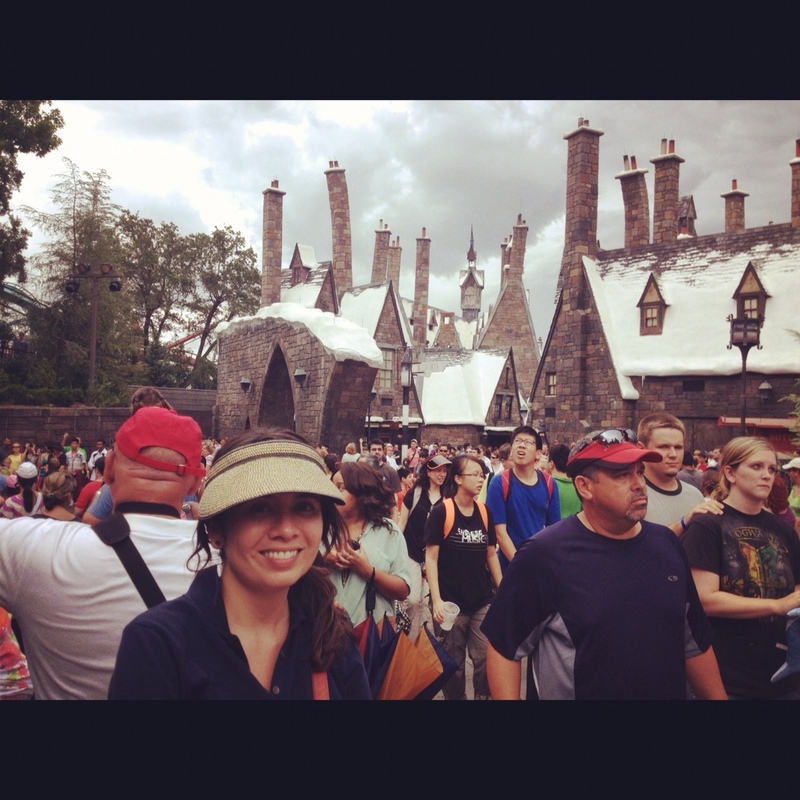 I want to remember being in Hogsmeade but I’m weirded out by my smiling face staring back at me. Cropping doesn’t make it better since I just end up with chimney stacks and fake snow. I could just crop myself out and leave the other tourists but that’s a little too anonymous for me. After a lifetime of criticism from my older brother for taking people-less holiday snaps I’ve shifted to the other end of the spectrum and take millions of candids of people. My usual photo model (i.e. husband, the subject of most of my photos) was literally out sick at this moment. So I had to fill in and now I’m stuck looking at myself in Harry Potter’s universe. I’m as narcissistic as the next person. I just don’t want to make it so obvious to said person, who is actually next to me and catches a glimpse of my phone. LOL! I think you’ve stared at yourself too long to be weirded out. Lol! Yes, perhaps. I should be the last person to be weirded out by my own face. I think I should just go ahead and have photos of myself everywhere: desktop, walls, tote bag, etc.